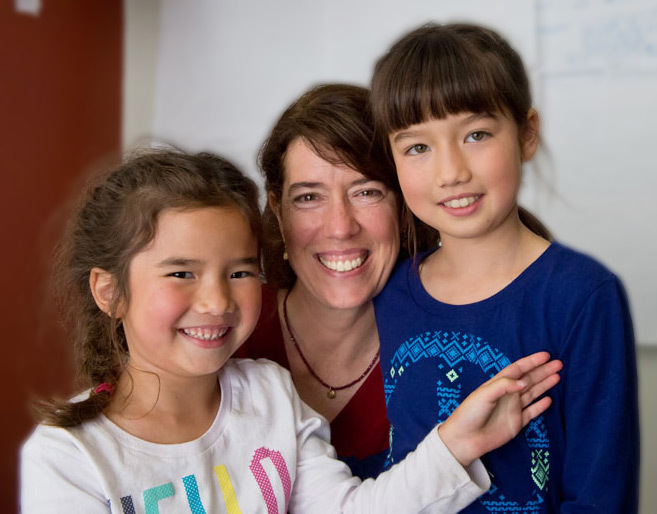 Heather Knight’s recent San Francisco Chronicle article “Talking to Children about Homeless” is well-done, and I thoroughly agree with the article’s two messages to keep it simple with your children and to model compassion. As a mother raising two elementary school-aged children in San Francisco, the topic of homelessness comes up regularly whether we are we are driving to school, walking through our neighborhood, or shopping downtown. Since preschool, my kids have been consistently taught about the dangers of stereotypes. One problem I notice is that so many of us use the word “homeless” to describe all people hanging out on the streets—whether they are panhandling, sitting, camping, lying down or looking disheveled. It might feel helpful to group them as “homeless” and yet by doing so, we lump people together in a way that makes it hard to see them as the unique individuals that they are. Our community’s poorest and most vulnerable are unique, colorful, and human with the same wants and needs that each of us holds. When we talk to our children about the people we see on the street, we have to take the risk of engaging with what comes next— “I don’t like homeless people” or something like “homeless people are dangerous” or “the homeless are …”. As a leader at GLIDE and someone who walks through the Tenderloin every day, I know these statements aren’t true and they sadden me. I try to teach my kids to pause when we come across an uncomfortable situation. Rather than jumping into a labeling statement that dismisses the person or people we see, we talk about feeling scared in an uncertain interaction, or acknowledge the discomfort of walking through a group of people sitting on the sidewalk. My girls say this helps them know it’s okay to have feelings of uncertainty and to separate those feelings from the people they see. The discomfort we identify may also be the sadness of so many people not having a bed to sleep in last night, or a dry spot to get out of the rain. Eye contact, a hand out, making space for someone who may be wobbly on their feet goes a long way. In my early twenties, I remember reading an article in a Boston daily written by a Harvard student who panhandled and slept in a shelter. As he described his experience he said none of it was as horrible as no one looking at him or acknowledging him in some way. I’ve held that thought with me all these years and do my best to “see” everyone. For kids with an adult, eye contact or a greeting is ok. Also, observing adult actions like acknowledging someone who says hi to you or asking someone struggling “are you okay?” allows us to build empathy and make a connection with those who differ from us. Volunteering to serve a meal as your kids get older is a valuable way to expose yourself and your family to the diverse needs of the homeless and poor in our community. The comment I hear most from first time volunteers at GLIDE is “I was surprised by who I saw in line to receive a free meal. It doesn’t necessarily line up with what I imagined.” Poverty is widespread in this great City. Thousands of individuals and families, homeless and housed, need our compassion and support. Ultimately, for my children, I want them to find connections with others, not build walls that separate us. Not all of the conversations I have with my kids go well, and yet I keep trying. As I see it, my job as a parent is to build awareness, understanding and the tools for talking about challenges in our community. Learning to do this is a process for all of us. If parents can recognize these conversations as “one of many,” children will reflect back to you their thoughts, ideas and worries. My children regularly surprise me with their thoughtfulness and concerns. That’s real life and we’re taking it one step at a time!